According to some Greek and Roman historical accounts, Celtic tribes — people who occupied modern France and neighboring regions — used to decapitate their enemies and embalm the severed heads, placing them on display. 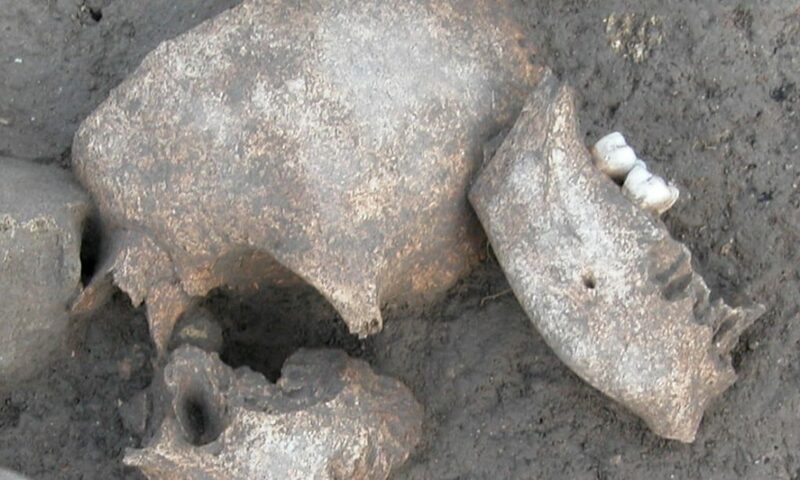 There has been much speculation around this gruesome practice, but a new archaeological investigation suggests that the legend is actually rooted in reality. Conifer resins identified on Iron Age skulls indicate that a gruesome ancient Celtic practice may be real. Credit: Fouille Programmée Le Cailar. A number of texts and artifacts suggest headhunting was common practice among Celtic races and tribes, such as the Gauls. For instance, Iron Age sculptures unearthed at Entremont, an ancient settlement in southern France, depict the practice. Historical texts go into more detail, describing how Gauls would not only decapitate their fallen enemies but also embalm the heads with cedar oil, hanging them by the necks of horses and parading them around, or displayed the in front of homes. According to Réjane Roure, an archaeologist at the Paul Valéry University of Montpellier in France, the ghastly practice allegedly increased the status of the Gauls who displayed them but also served as a tool of psychological warfare, instilling fear in enemies such as the Romans. Roure and colleagues wanted to check the veracity of Celtic headhunting and set out to analyze pieces of skulls recovered from Le Cailar, southern France, a site which was occupied from the sixth century BC until the first century A.D. Since the site was discovered in 2000 and up until 2013, archaeologists have excavated nearly 50 skulls, which were broken into 2,500 fragments, alongside weapons. The placement of the weapons and skulls so closely together suggests that they might have been on display. The researchers performed a chemical analysis of 11 skull fragments, finding that six pieces were tainted with resin and plant oils. Some of the molecules present on the surface of the fragments can only appear when pine tree resin is heated to a high temperature. The fragments also bore cut marks that suggest the brains were removed from the skulls, the authors reported in the journal Archaeological Science. The fragments were dated to the third century B.C, a period marked by frequent and intense conflict across Western Europe, so all the clues fit together like a jigsaw puzzle — the historical accounts, the artifacts, and the skull fragments — are lining up to paint a gruesome picture. According to Roure, the Gauls might have resorted to resin embalmment in order to preserve the face and features of their decapitated enemies. According to Greek writers Strabo and Diodorus of Sicily, only the heads of important people, such as enemy leaders or great warriors, were embalmed, but this has not been proven. It’s not clear if the practice was reserved for foreign enemies or whether it was reserved for respected tribesman to honor their memory. The authors plan on carrying out more studies to learn more about the practice.